Get promoted on the way to work! Britain’s rail network, buses and the Tube are about to be turned into the country’s biggest learning zone, enabling busy professionals to learn the lessons of respected business leaders and self-help experts in the time it takes to get to work in the morning. A new service has launched in the UK, Joosr (www.joosr.com) – providing downloadable non-fiction book summaries that can be read in just 20 minutes. 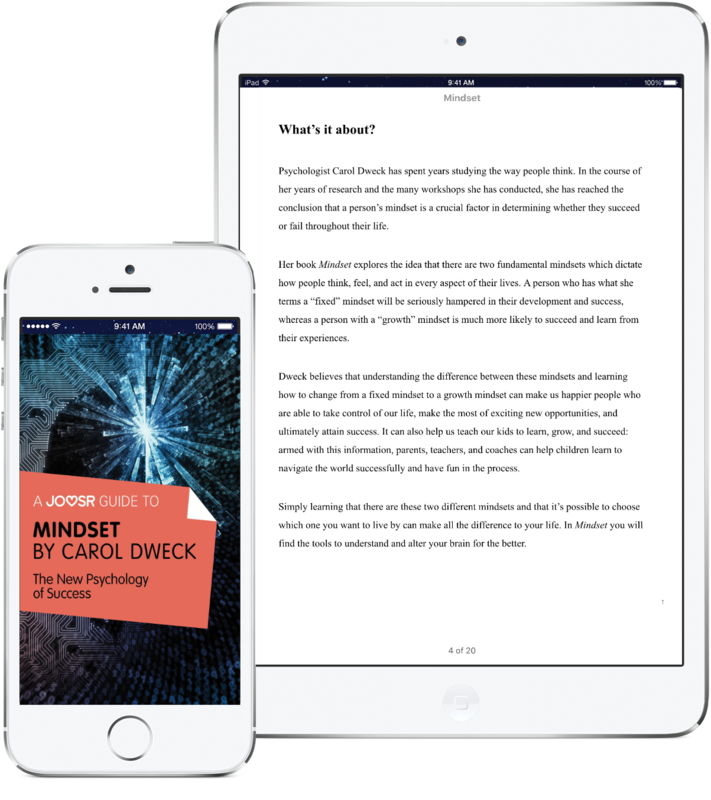 The subscription-based app offers top quality summaries of some of the world’s most influential books on business, entrepreneurship, careers, money and leaderships, condensed by a team of highly-trained professional writers. Joosr offers a free trial to allow readers to experience the library. 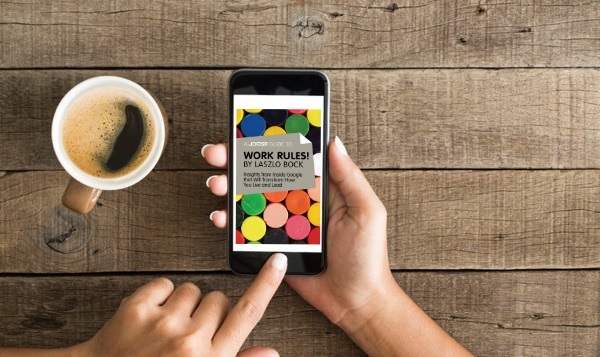 Specifically designed for mobile devices, Joosr books are perfect for commuters to read on their way to work and can also be read when off line. The Joosr free trial library starts with over 100 titles, with 20 new books added every month. Each book provides all the key information of the original title but without all the pages. So whether you’re a budding entrepreneur, a manager looking to inspire, or want to quickly progress up the career ladder, the Joosr business and self-help summaries clearly present ideas and advice from leading thinkers at the world’s most innovative companies. Founder and CEO Darren Boyd-Annells said: “Finding time to keep up with reading and learning is a real challenge for many professionals. We found that 6 out of 10 people said they were simply too busy to read as much as they would like. So the beauty of Joosr is you can access all the key information from a book in just 20 minutes – perfect for the commute. “The summaries can be read off line and across iPhones and iPads. This means that on the Tube on your way to work you could read a book on how to be more assertive – and then put what you learned into action in a meeting that same day. 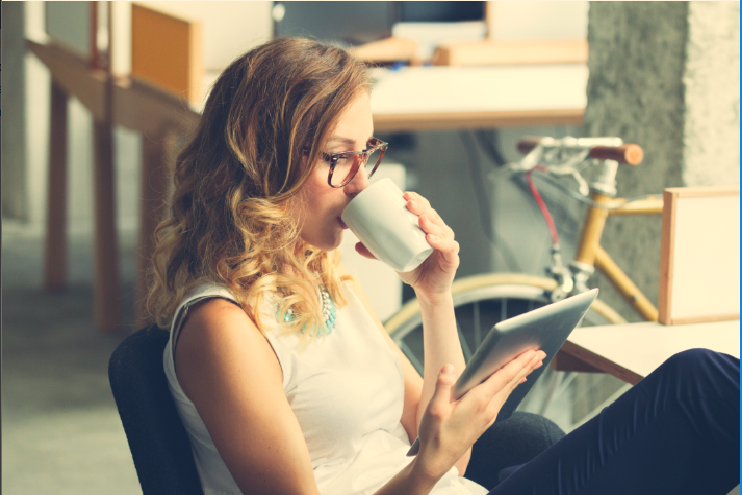 For the equivalent price of only two coffees a month, members can download summaries of books from some of the world’s most influential business minds, such as How to Win Friends & Influence People by Dale Carnegie, Elon Musk by Ashlee Vance, Lean In by Sheryl Sandberg, and The Chimp Paradox by Steve Peters. More than 15,000 avid readers are already on board and have given it excellent reviews for ease of use and customer experience. Readers also like the fact each Joosr book focuses on the practical applications of the original books, showing how readers can take the lessons and apply them in their own professional and personal life. The quality of the writing is closely monitored by co-founder and COO Becci Edmondson, an industry-leading editor with a history in publishing.